I was starting to get annoyed at the automated voice on my phone. Before you can make a call, you must first make a payment. I had set up automatic payments on my Cricket cell phone account months ago. It was annoying that they broke it. It didn’t help that I was right in the middle of trying to make a call when the system informed me I couldn’t. I work with computers, but it doesn’t mean I enjoy talking to them. I especially dislike automated phone systems. After a couple of false starts I eventually managed to navigate my way through the myriad of options and make a $100 payment. Before you can make a call, you must first make a payment. . .your current balance is $100. The Hillerich & Bradsby Company was recently sold to a Japanese sporting goods company. Don’t feel bad if you don’t recognize the name Hillerich & Bradsby. I’m a huge baseball fan, and I still have to look up the name every time. 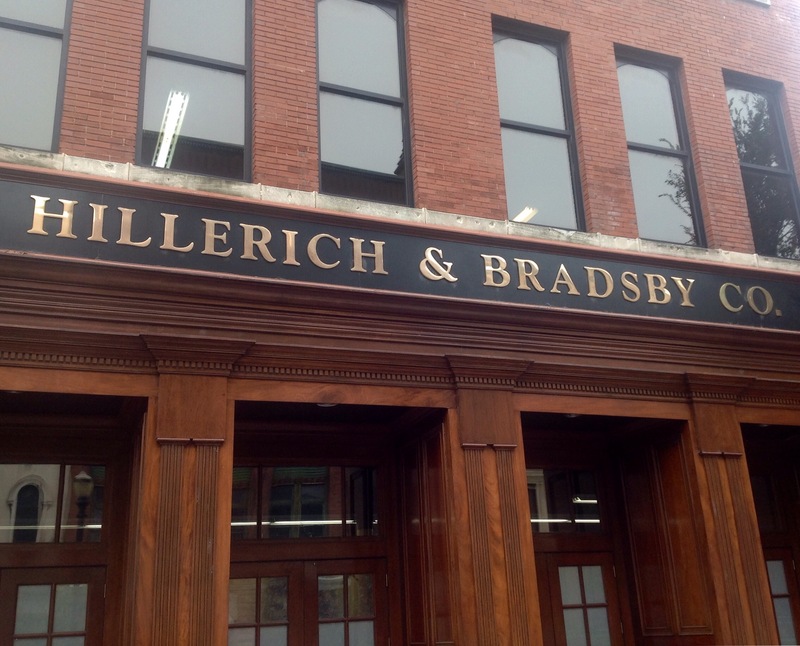 Hillerich & Bradsby is better known as the company that makes Louisville Slugger baseball bats. I’ve toured their Louisville Kentucky factory a couple of times. (That’s a Really Big Bat.) The company was owned by the same family for over a hundred years. Why they were sold is a strange tale. They lost a multimillion dollar lawsuit. That in itself isn’t a surprise. Companies are sued on a regular basis. 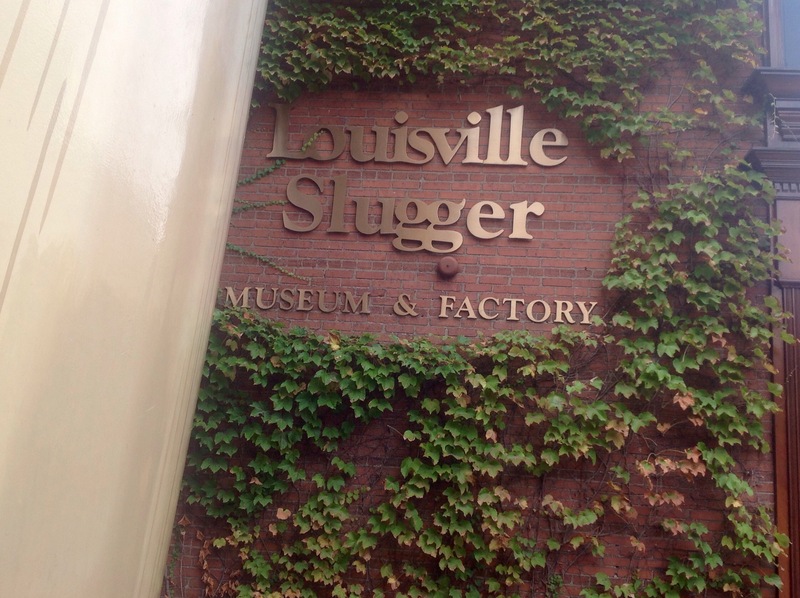 Hillerich & Bradsby was sued because a young man was hit in the head by a line drive off a Louisville Slugger bat. It’s a tragedy for him and his family, and I don’t want to diminish that. But, the logic of the lawsuit was doesn’t make sense to me. The lawyers argued that the ball travelled too fast; that the bat essentially worked too well. Can something work too well? Can it be too efficient? The lawyers arguing against Hillerich & Brasby thought so. I called back into the Cricket support number. Cricket is a part of AT&T. Both use the same network to route calls. A Cricket phone is a lot cheaper than an AT&T phone. That $100 I pay each month covers four separate phones. One of the ways Cricket saves money is they automate their support line. Nancy Reagan had it right back in the 1980’s when she told people to just say no. Welcome to Cricket support. Please type or say your ten digit phone number. I’m sorry, I didn’t catch that. Please type or say your ten digit phone number. I still didn’t get that. Please type or say your ten digit phone number. Okay. I’m having trouble hearing you. Please wait while I transfer you to a customer service representative. It wasn’t over that quickly, of course, but eventually I managed to talk to an agent. She explained that my phone privileges had been suspended because I had violated the terms of the User Agreement. I talked too long. Cricket’s User Agreement (you know, that long boring text that you skip and click AGREE on) limits phone calls to 100 minutes or less. I had unlimited talk and text, but if I talked more than 100 minutes on a single call, Cricket decided I was using the phone as a monitoring device, or for some other automated process that was in violation of the rules that I agreed to without reading. They don’t have a process that kicks in at the 101st minute, but if they saw a particularly long call, they would suspend the account. My problem call? 546 minutes, nine hours on a single call. That was a really bad day. Our system broke and stayed broken not just for nine hours, but for multiple days. She finally got my service turned back on. I explained that their IVR was wrong about why my account was suspended. She said she’d report it. I have my doubts. The phone is designed to let me talk, but use it too much and it’s a problem. I’ve now changed the way I use my phone. I stil lhave really long conference calls, but after about an hour and a half, I excuse myself, hang up and call right back in. It’s less efficient, but sometimes being too efficient is a bad thing.